The Reading the Bible Today series is a unique non-technical series of commentaries that aptly present careful scholarship in a way that everyone can understand. It is especially useful for Bible study groups and deeper personal devotions. James, more than most books in the Bible, shoots straight from the hip. James has little time for sophisticated rhetoric and fine argument. He simply and urgently calls on believers to look like real believers, to see where we have deviated from Christ's path of love and come back into a humble recognition of our need for divine mercy. James : The Wisdom of the Brother of Jesus by Dickson, John is published by Youthworks and is our 37407th best seller. 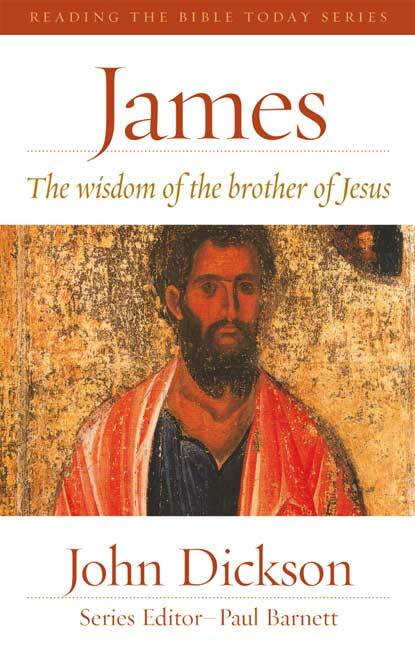 The ISBN for James : The Wisdom of the Brother of Jesus is 9781921137648. Be the first to review James : The Wisdom of the Brother of Jesus! Got a question? No problem! Just click here to ask us about James : The Wisdom of the Brother of Jesus.